In 1999 Cynthia Trinidad, former NBA Spurs Dancer and former NFL Dallas Cowboys Cheerleader, organized a cheer/dance squad for a semi-pro football organization and the result proved to be the beginning of the "San Antonio Roses". For the first 5 years the squads were known by other names because they were formed for various semi-professional football organizations. All of these squads were directed by Cynthia Trinidad with the execption of the 2002 squad which was directed by Jennifer Salazar. The Roses are available for special community events, sporting events, promotions, grand openings, and corporate events. They can judge cheerleading / dance competitions / tryouts and are available for modeling and talent opportunities as well as mini cheer and dance camps. KENS TV - Great Day S.A. In 2006 the San Antonio Roses opened their own studio and pro-shop on the northwest side of San Antonio. Roses Entertainment and the San Antonio Roses together with SportsLink produced the nationally televised 2008 and 2009 U.S. Army All-American Bowl SpiritFest in the Alamodome. The San Antonio Roses continue to provide individuals the experience to successfully move to other professional or semi-professional teams and the opportunity to showcase their talent at events throughout San Antonio and Texas. 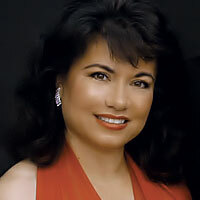 Cynthia Trinidad, President of Roses Entertainment and director of the San Antonio Roses, has managed all aspects of the organization including auditions, practices, events, photo shoots, promotions, music selections, performances and uniform design. 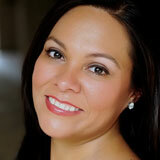 She has choreographed numerous routines and halftimes and has overseen final productions. Cynthia holds knowledge of different venues of professional sports productions including football, basketball, and baseball. Cynthia has been dancing since the age of 6 and has instruction in ballet, modern ballet, folklorico / flamenco, jazz, drill team, cheerleading, and professional cheerleading. She has over 30 years experience in the dance and cheerleading industry including performing, competing, choreography, instructing, judging, directing, and NCA cheer/dance retail management. Held the title "Mrs. San Antonio 2009 United America"
Held the title "Mrs. Elite Beauty of Texas USA 2010"
Held the title "Mrs. Elite Beauty USA 2010"
Held the title "Mrs. Petite Texas United America 2011"
Held the title "Mrs. Petite United America 2011"
Holds the title "Ms. Petite United America Ambassador - Lifetime Title"
Melissa R. Martinez, former Spurs Silver Dancer and UTSA Spirit Program Head Coach and Coordinator, has been cheering and dancing since the age of 8. She has instruction in jazz, tap, hip hop, tumbling, cheerleading and professional dance. She has over 20 years of experience in the dance and cheerleading industry including performing, competition, instructing, judging and directing. Erynn Moore has danced for fourteen years and has training in ballet, jazz, and hip-hop. Erynn graduated from MacArthur High School in San Antonio as Captain of the Lassies' Drill Team. She directed a dance team for an independent performing arts school for three years and has participated in numerous intensive dance workshops with choreographers from Los Angeles including George "GEO" Hubela who danced and choreographed for performers including Missy Elliot, Britney Spears, and Jennifer Lopez. Erynn began choreographing in 1999 for her high school drill team. Aspiring to become a pro cheerleader she found the San Antonio Warriors Semi-Pro Football Organization and cheered as a Warrior Cheerleder for one season. Erynn joined the San Antonio Roses as a member for the 2006 & 2007 seasons and currently shares her talent as the San Antonio Roses choreographer. Erynn is constantly expanding her talent as a choreographer by attending numerous dance workshops where she meets other great choreographers and directors. Send us your questions, comments, or requests using this form.